Jolly Good Vehicle Rentals is a company that provides high quality rental vehicles to SMEs and retail customers. Its ethos is to provide a first class service and high quality vehicles to all of customers. 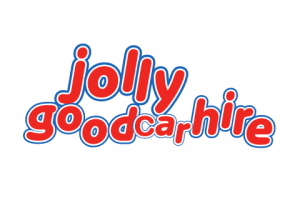 It operates three brands within the business - Jolly Good Van Hire, Jolly Good Car Hire and Jolly Campers (Campervan hire) - and provides short and long term rental contracts, from a single day hire through to the firm's Jolly-flexi 28-day rolling rental contracts. Frustrated with the lack of quality vehicles and customer service within the vehicle rental market, the founders of Jolly Good Vehicle Rentals spotted a gap in the market. They pride themselves on providing high quality, top brand vehicles that exceed the expectations of their customers – coupled with great service and customer care. Reservation lines are manned by their own staff 24/7, which means someone is always on hand to meet their customer needs – day or night. The latest software is used to manage the fleet efficiently, with all vehicles tracked via GPS, giving an ability to utilise all of the vehicles effectively. Jolly Good Vehicle Rentals has its head office in Wrexham. After the success of its two franchise pilots in Shrewsbury and Ely, it has opened a further five franchises in the last 18 months at Deeside, Colwyn Bay, Chippenham, Newtown and Warwick. It has a plan to open a further three sites per year over the next five years with each franchise growing to a fleet size of over 100 vehicles within 18 months. Its ideal franchise profile would be an existing business that has synergy with vehicle rental, such as storage centres, quality used car dealerships, petrol stations. This year has also seen Jolly enter the public sector market successfully tendering for local authority contracts. Its focus is to build a franchise business that is sustainable, ethical and profitable.